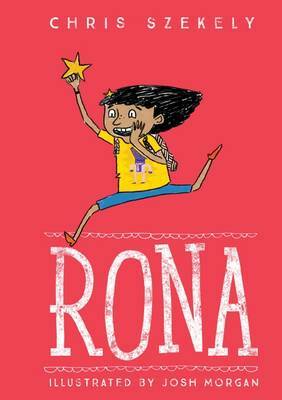 Rona is mischievous, curious, adventurous and inventive - just an everyday tomboy nine-year-old! Living in the country with hergrandparents, she pretends to be a werewolf (and breaks her most precious possession in the process), jumps off the wharf like a daredevil, and is alternately cross and friends with her cousin Jessie - in between finding ways to ambush Stewart Simpson, her sworn enemy. Chris Szekely is Chief Librarian of the Alexander Turnbull Library. He wrote Rahui, illustrated by Malcolm Ross, which won the Picture Book Category, New Zealand Post Children's Book Awards, 2012, the LIANZA Russell Clark Award and Librarians' Choice Award in 2012, and was a finalist for the LIANZA Te Kura Pounamu award in 2012. His next book, Tahoe/Swim: The Story of Hinemoa and Tutanekai, was selected as a Storylines Notable Book in 2014.